Patients with advanced skin cancer could benefit from two new treatments that extend life, a cancer meeting in Chicago has heard. Scientists say a pill called Vemurafenib appears to give patients a greater chance of surviving longer than chemotherapy. 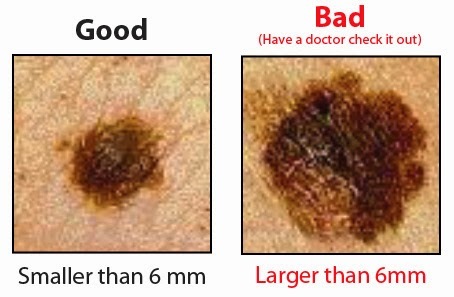 It was tested on a group of 675 patients with advanced melanoma. Another drug, taken intravenously, called Ipilimumab, is said to give patients extra years of life. The results were presented at a meeting of the American Society of Clinical Oncology. During a trial, 84% of patients who took Vemurafenib pills twice a day were still alive six months later. This compares with 64% of those on standard chemotherapy. The drug works by acting on a faulty gene, BRAF, found in half of terminally ill patients whose cancer has spread to other organs. Meanwhile, trial results from another study show that a one-course infusion treatment of Ipilimumab may extend the survival of patients with advanced melanoma. Several patients have lived for years when they might otherwise have died in weeks or months, say investigators. At least one is still alive five years after receiving the treatment. Both treatments are now being assessed by European licensing bodies and could become available to UK patients within months, subject to approval. Although it is unclear if the NHS would be able to afford to use these relatively expensive drugs that cost tens of thousands of pounds. Professor Richard Marais, whose work at the Institute of Cancer Research demonstrated the importance of BRAF in melanoma, said: "This is the biggest breakthrough in melanoma treatment in more than 30 years. 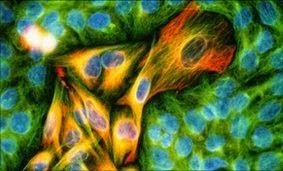 Professor Peter Johnson, Cancer Research UK's chief clinician, said: "For the first time, we have effective treatments becoming available for melanoma. "Both show how the research we have been doing is feeding through into help for patients.